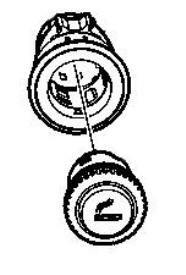 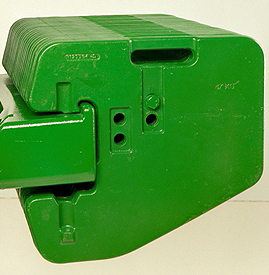 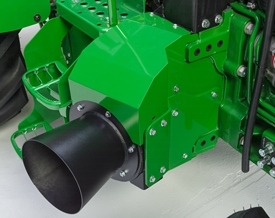 The side exhaust solution provides a low, horizontal exhaust position for applications where a low exhaust point is required, such as orchards and poultry. 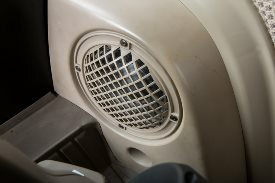 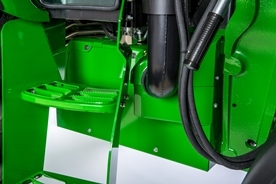 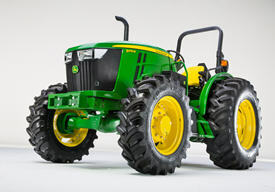 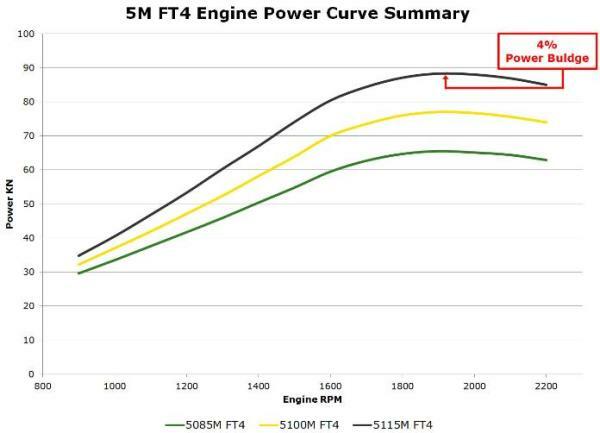 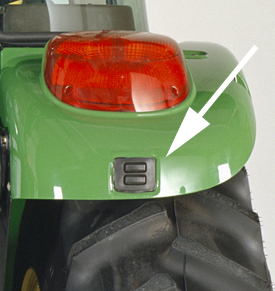 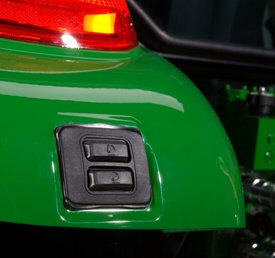 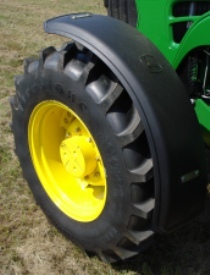 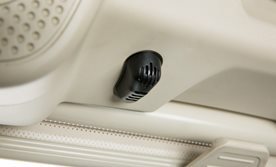 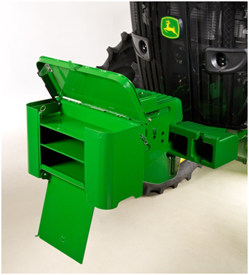 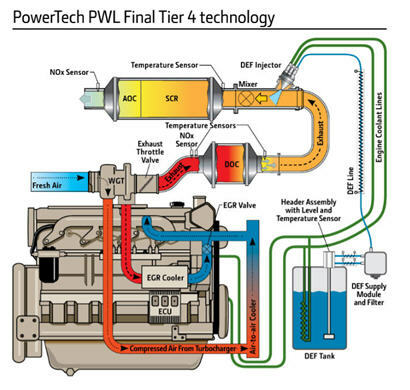 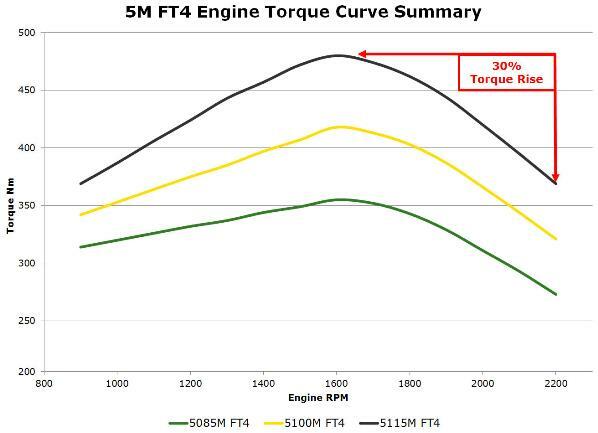 A factory-installed side exhaust solution is also available on all standard 5M Tractors. 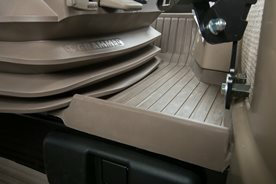 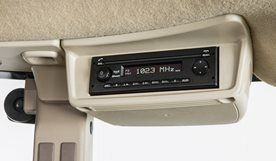 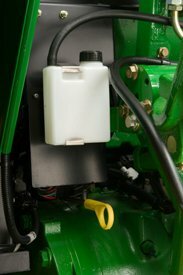 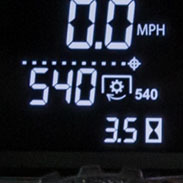 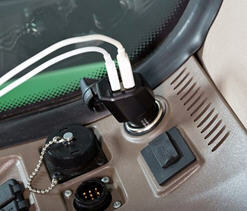 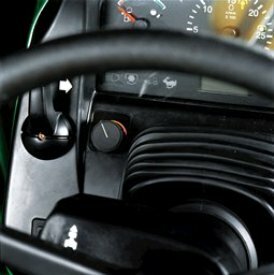 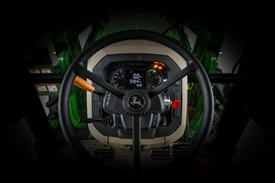 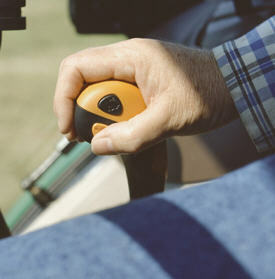 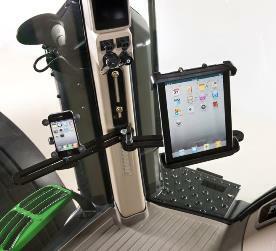 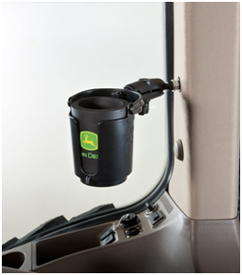 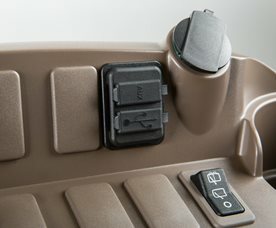 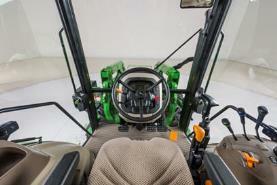 Both the field kit and factory-installed options are available for cab and open operator station tractors. 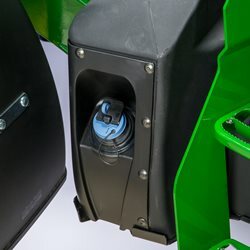 Save time when hooking up implements by adding a right-hand fender remote raise and lower switch to tractors equipped with an electrohydraulic hitch. 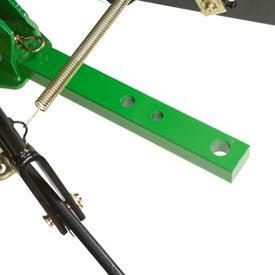 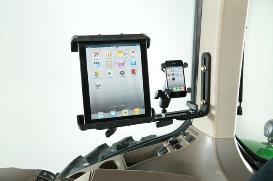 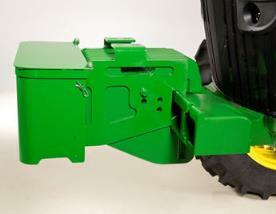 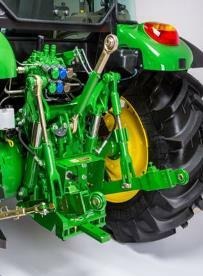 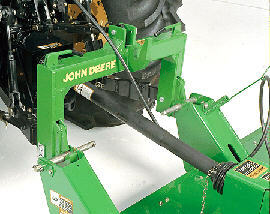 The kit allows operators to adjust their 3-point hitch while standing on either side of the tractor. 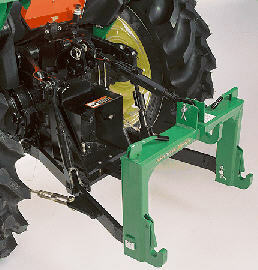 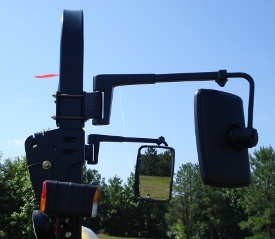 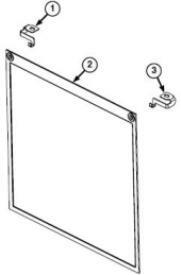 A remote raise and lower switch for the left-hand fender is standard equipment with the electrohydraulic hitch. 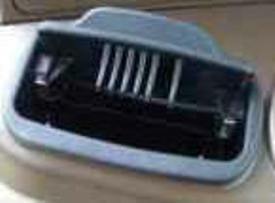 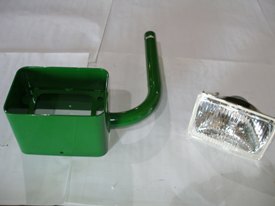 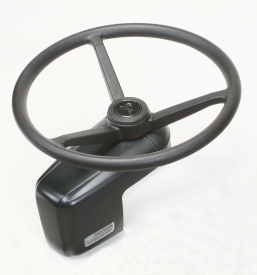 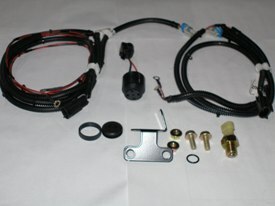 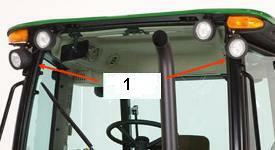 The auxiliary loader light kit can be ordered to improve visibility during night operation. 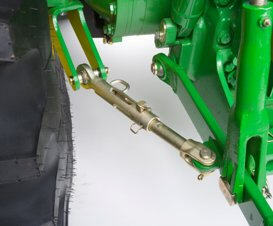 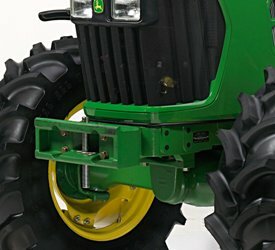 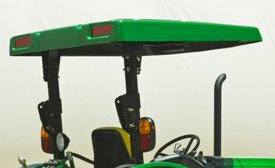 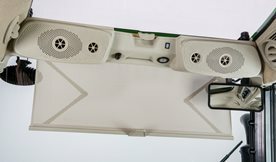 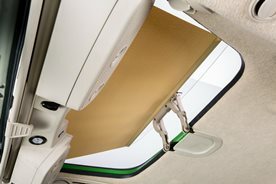 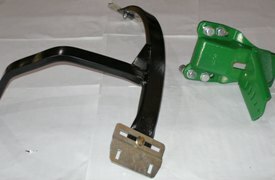 Mounting brackets and hardware bundles are required to adapt a canopy to the tractor rollover protective structure (ROPS).